You searched for which does not fit your . We've redirected you to 121-740, which has the proper fitment. very comfortable hat and received many compliments on the hat. also buying one for a friend. 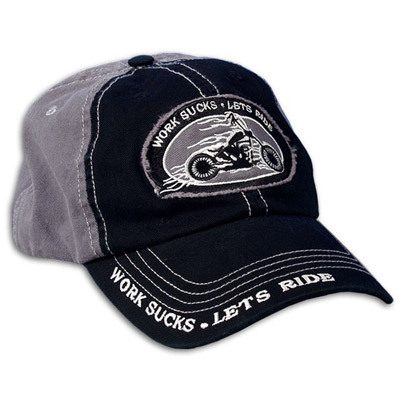 I got complimented on this hat by a friend so I ordered him one too, it's low profile and comfortable. I like the cap.Well made,the only thing bad I can say is that the packing job was bad.The cap was smashed and all out of shape.Took me about 2 days of reshaping to get it back to the right shape.Now it looks fine. Not the best quality hat and the fact that Hot Leather packages it flat doesn't help. Everyone likes the sentiment though.